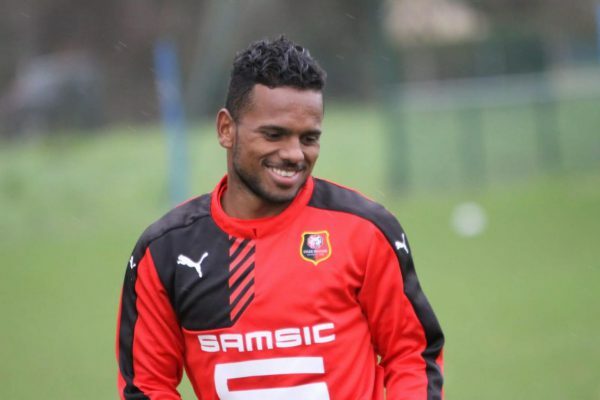 Former Orlando Pirates and SuperSport United striker Kermit Erasmus has parted ways with Ligue 1 club Stade Rennais. The Bafana Bafana striker struggled for game time at Rennes since joining them from Pirates in 2016. He was loaned out to Ligue 2 side Lens last season, where he made 12 league appearances. Rennes have now confirmed through their Twitter account that they have released the 27-year-old from his contract. “The Rennais F.C. and Kermit Erasmus Stadium have earlier terminated the contract that linked them since January 2016. “The player is therefore free from any commitment. “The Red & Black wish him a full success and a lot of happiness for the rest of his career,” tweeted Rennais.